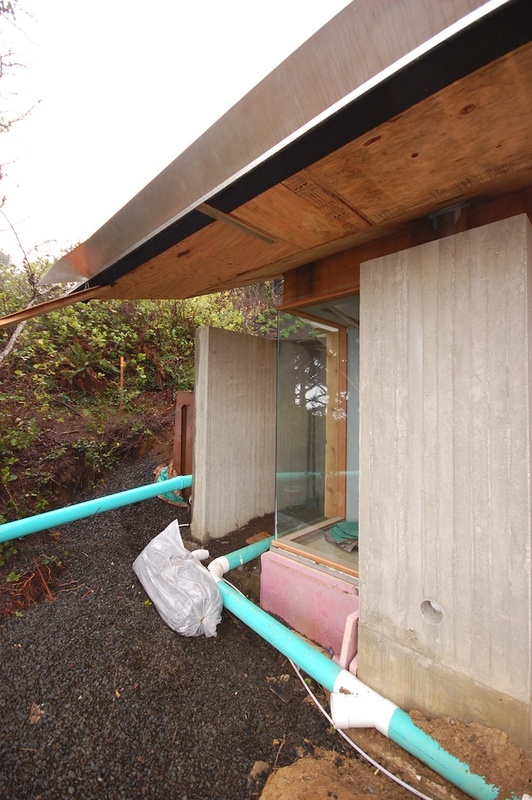 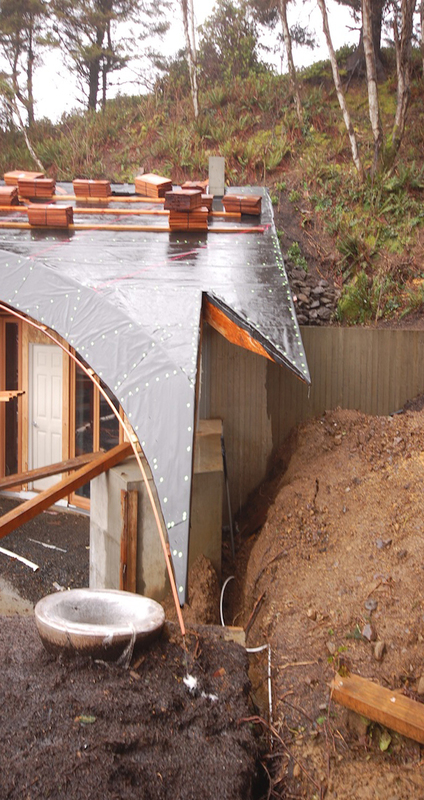 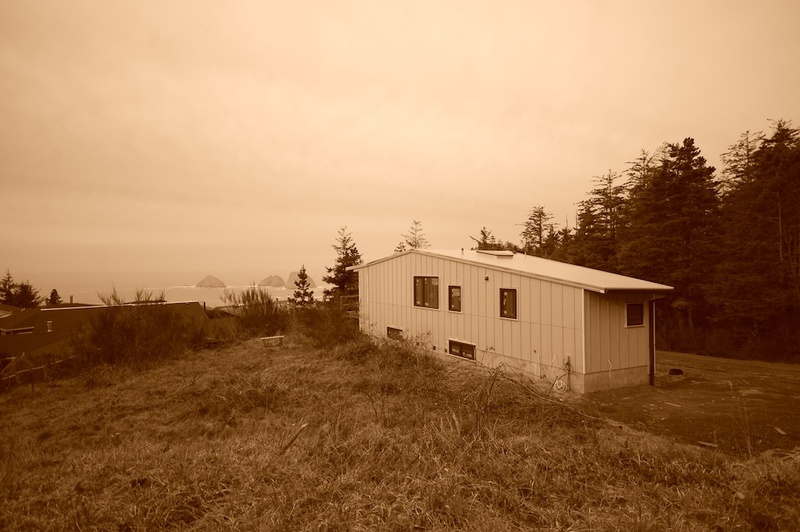 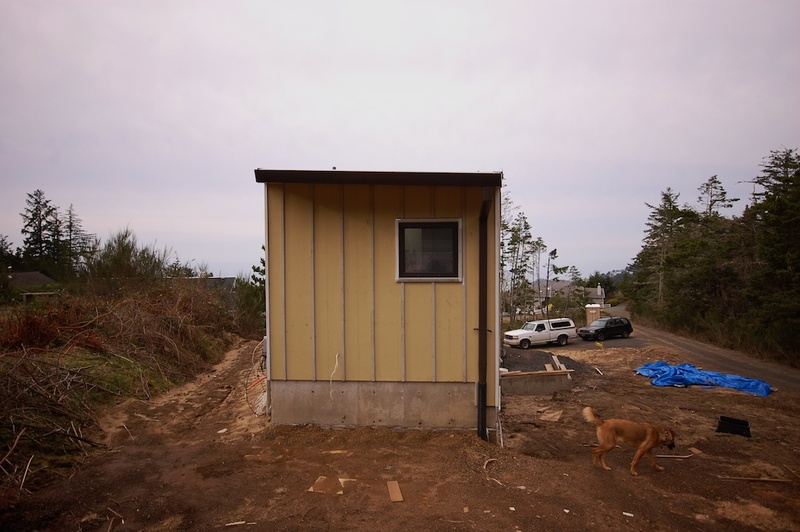 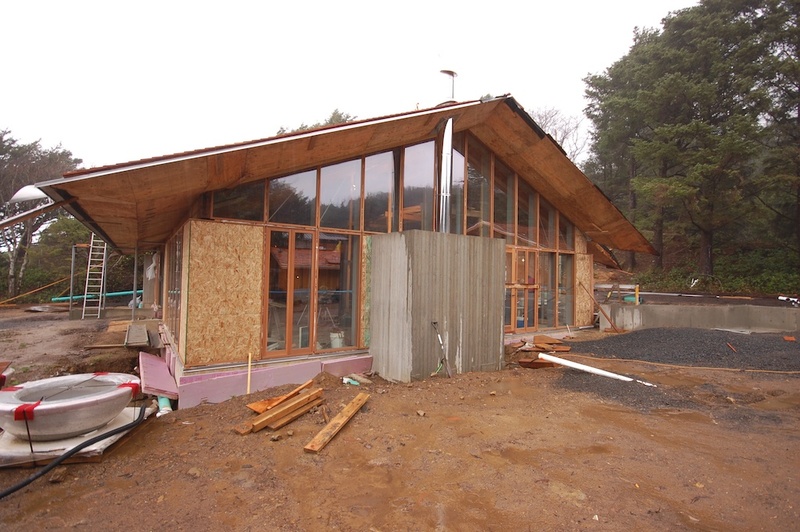 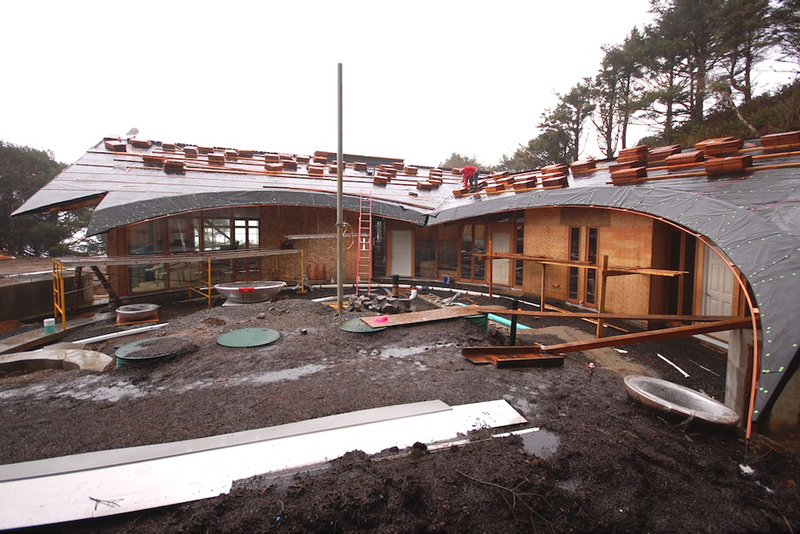 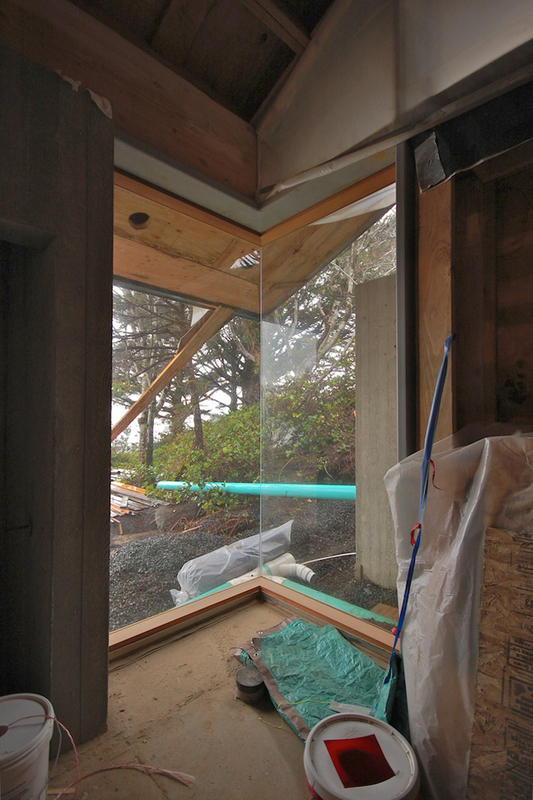 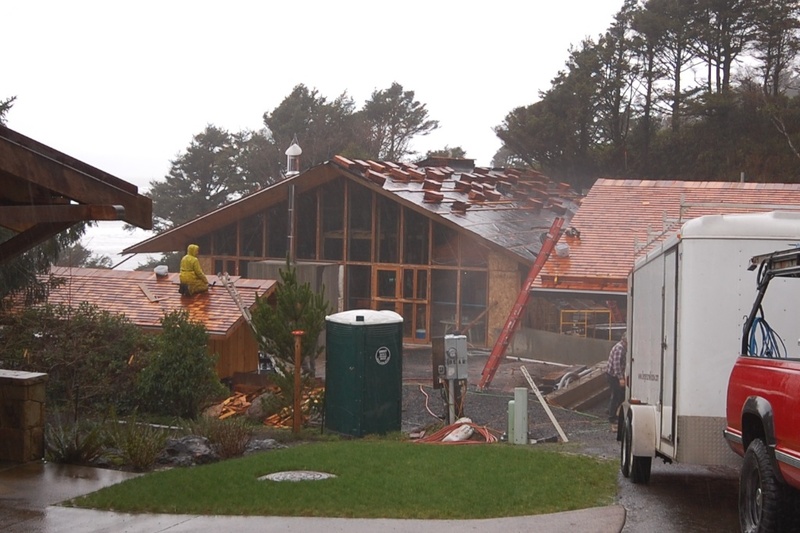 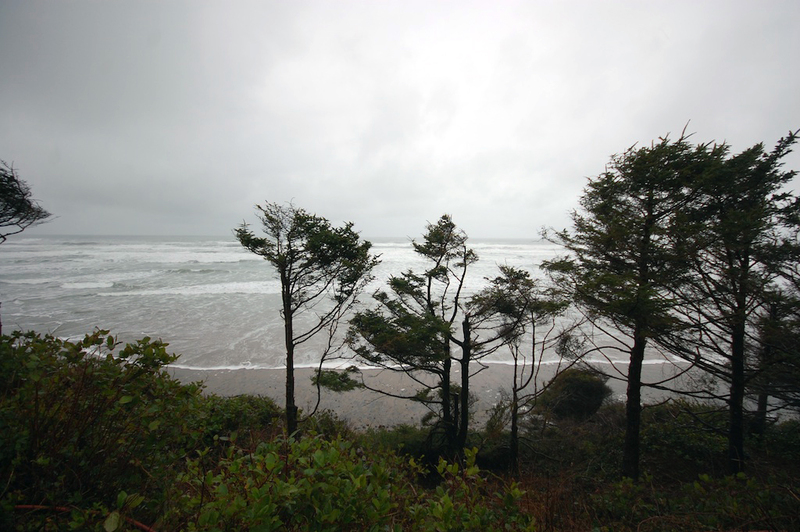 we recently had a look around a new oceanfront compound under construction south of cannon beach. 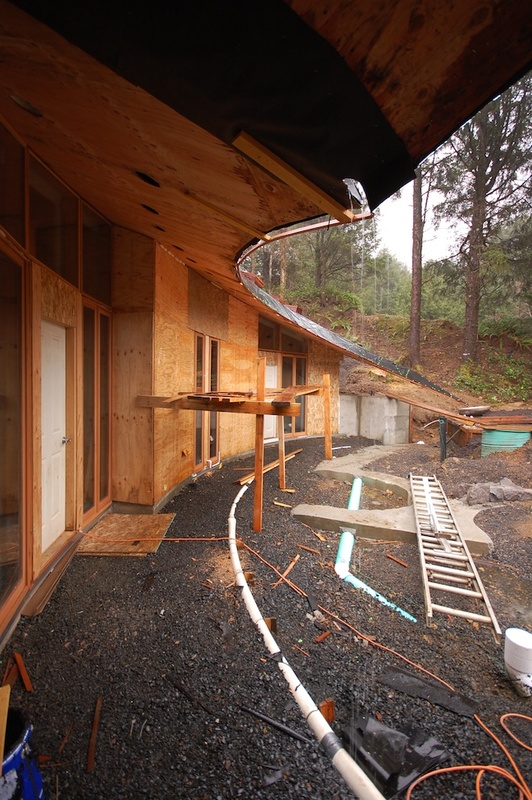 design by eddie jones of jones studio. 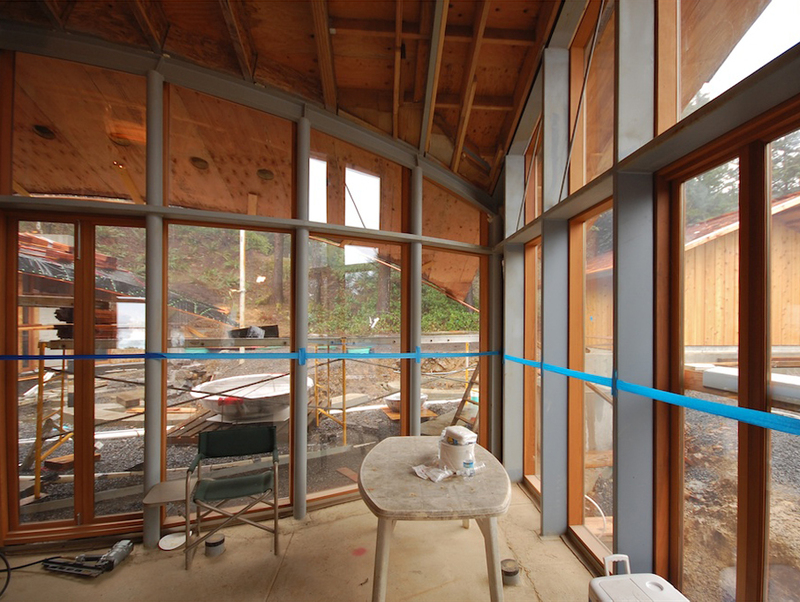 preconstruction assistance by in situ architecture. 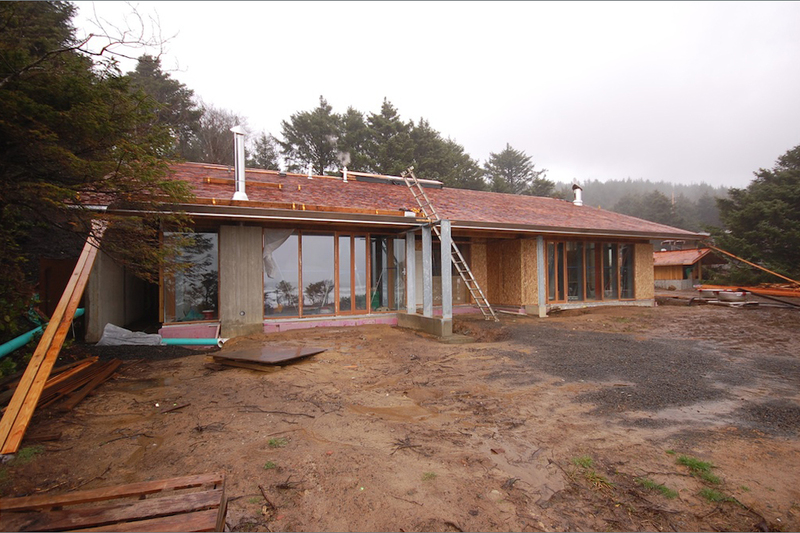 yesterday we took advantage of the recent stretch of dry weather to visit our project under construction at the coast. 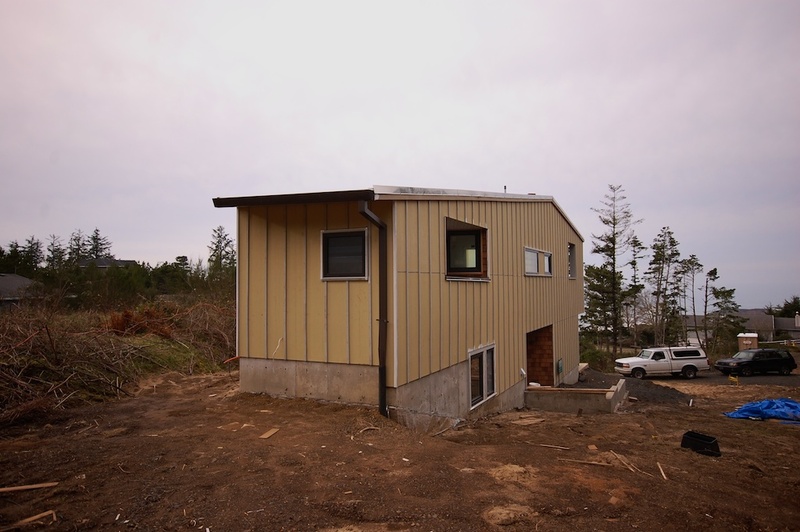 the exterior siding is installed and awaits a few final details and paint. 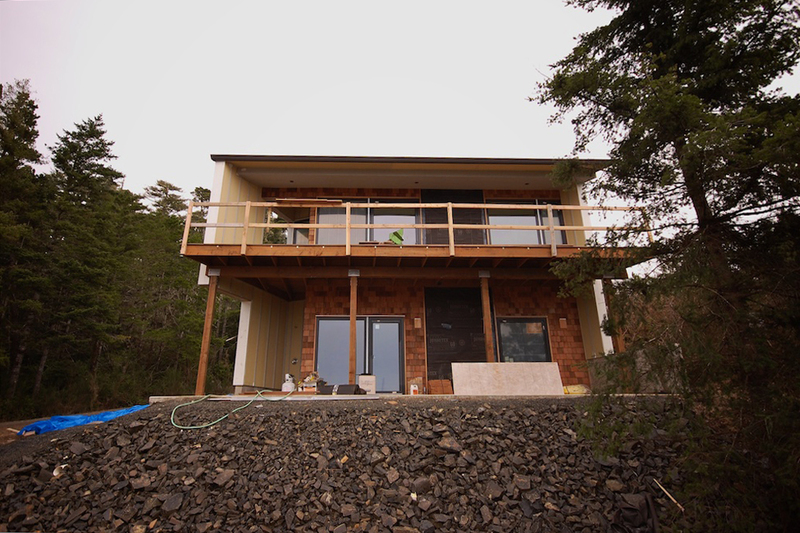 the body and trim will be painted a dark warm grey and should recede nicely into the landscape. 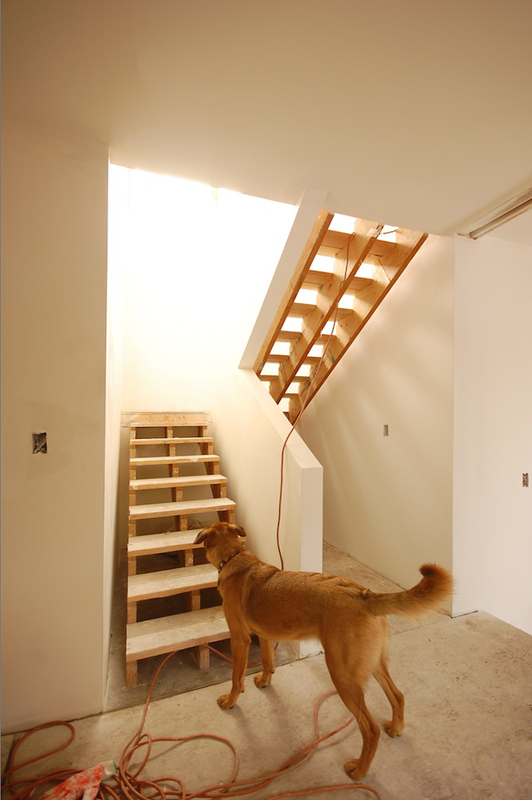 the open stair is flooded with south light and draws you up from the entry into the main volume of the house. 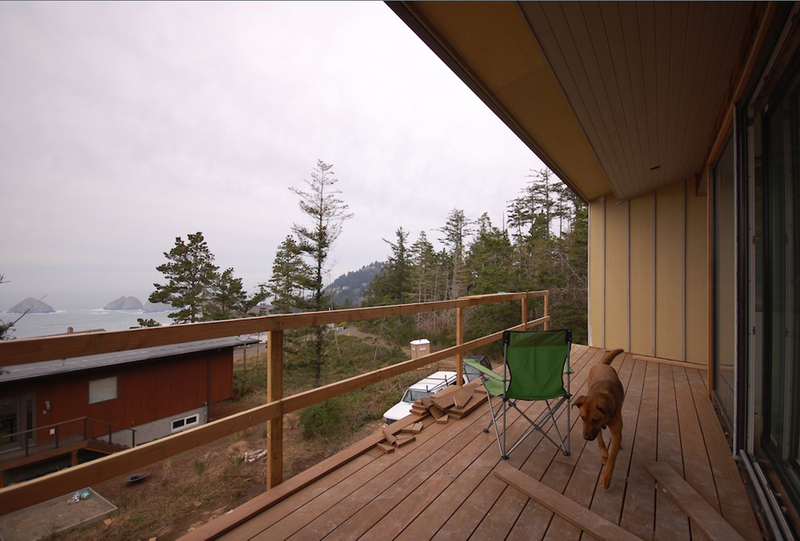 the spectacular view to the west required a nice long deck to take it all in after a hard day of playing on the beach (insert drink in hand). 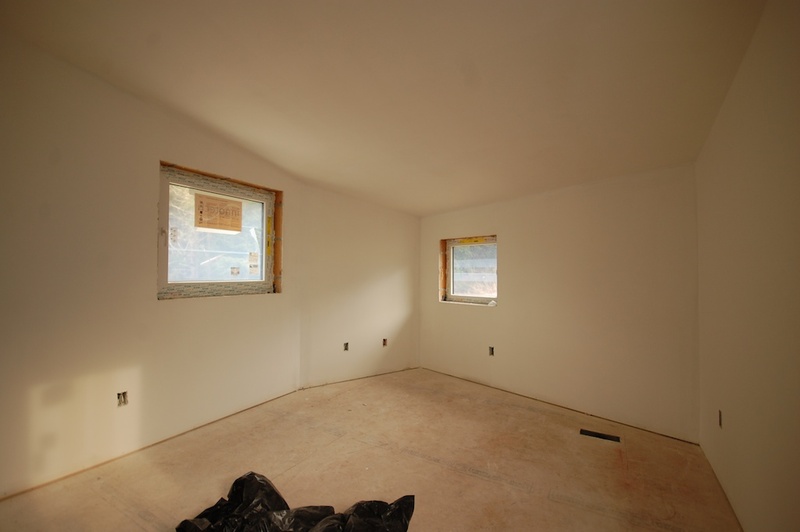 the cozy bedroom tucked into the east end. 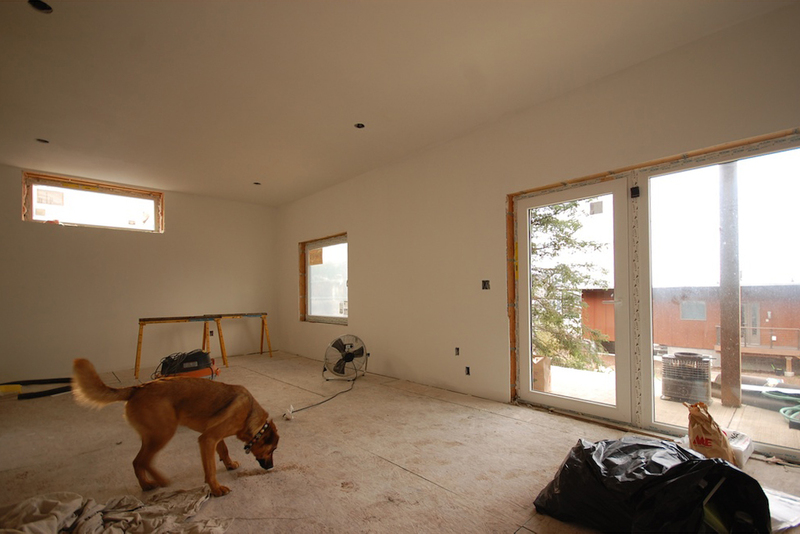 the future 3-star ping pong room on the lower level. 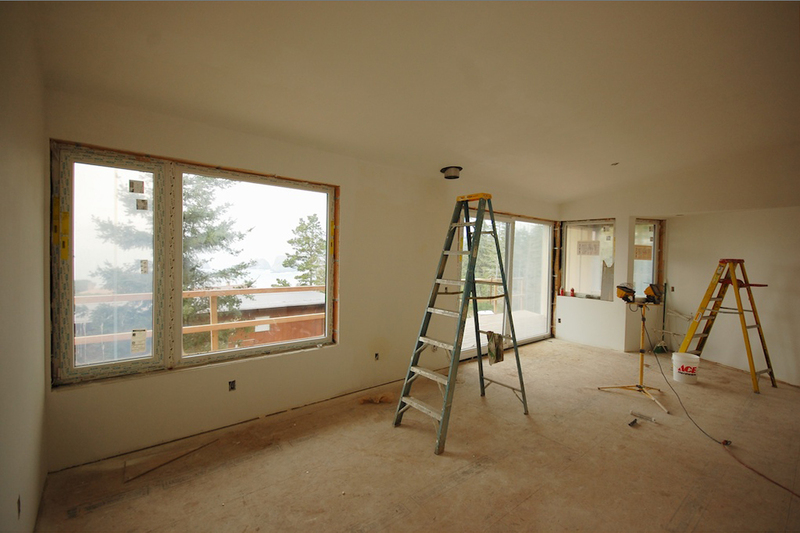 a small taste of the main living room – more on this space later. 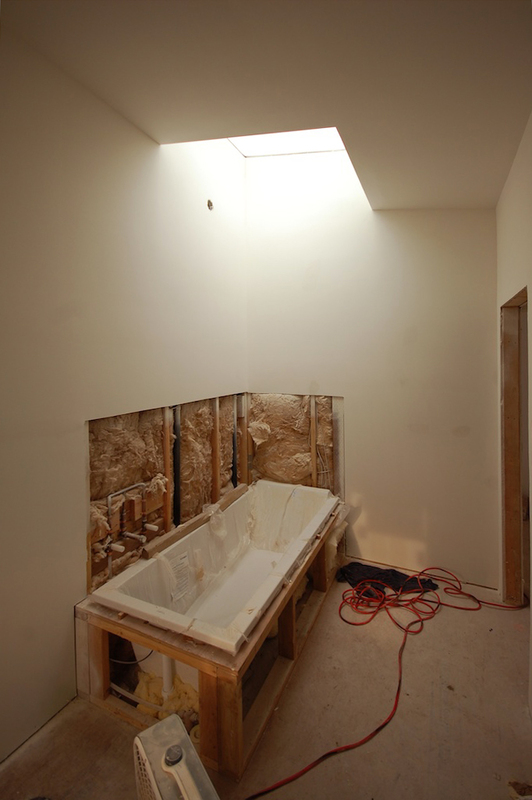 the bathroom with soaking tub and skylight above. 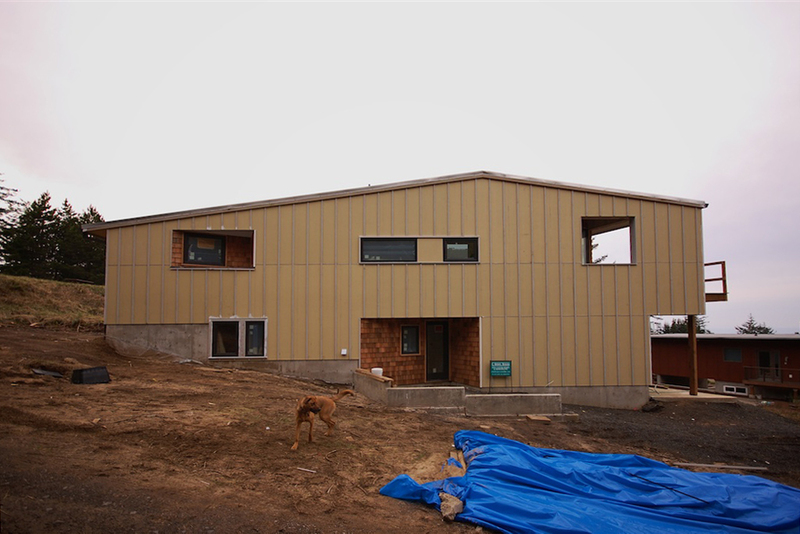 the west elevation in its partially finished state. 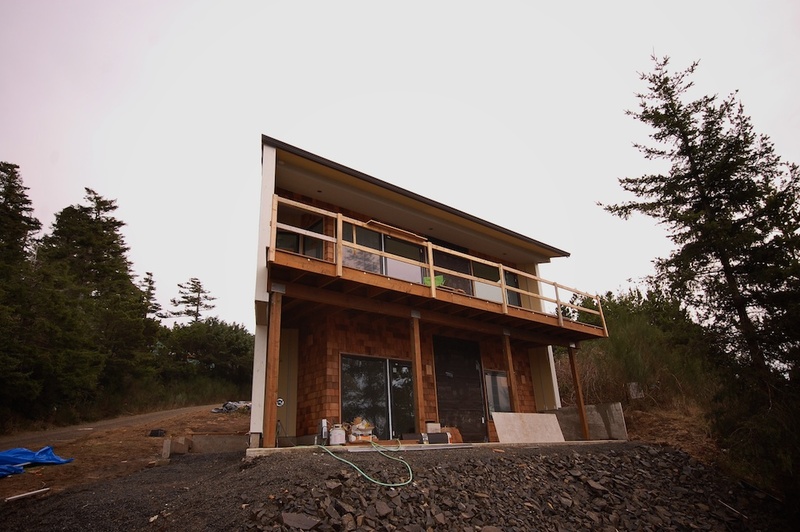 the north entry elevation from the road. 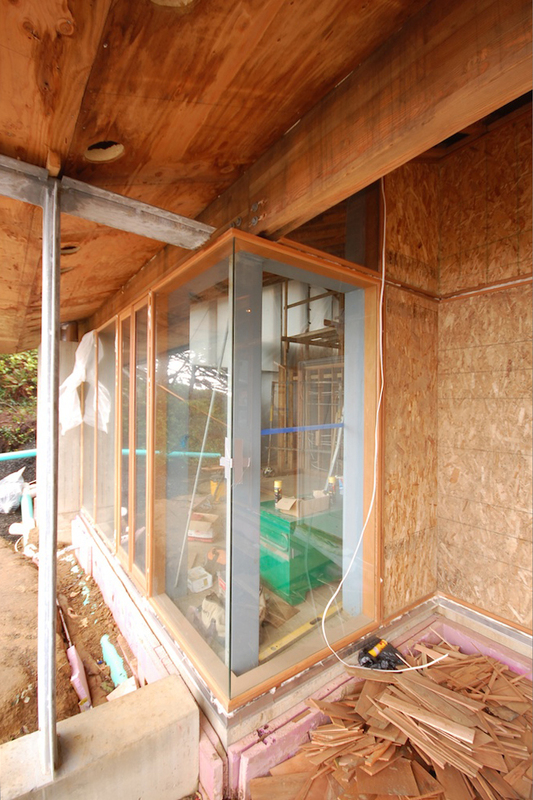 for more on the construction process so far, see the previous posts here, here, and here. 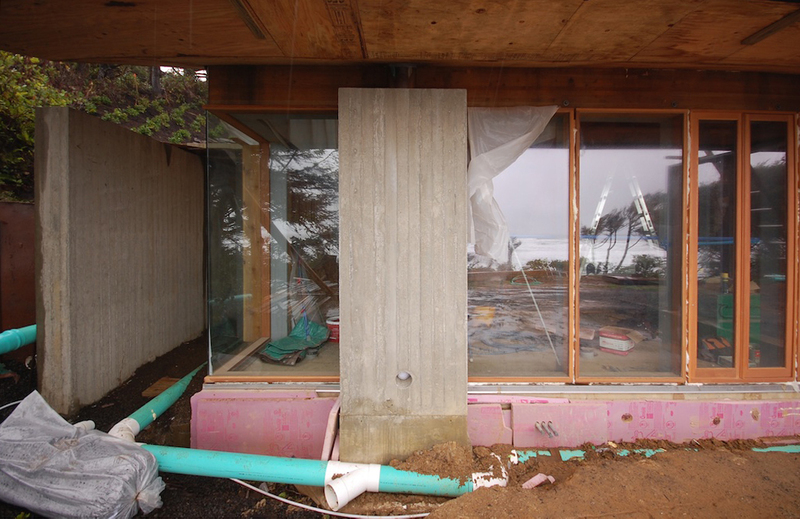 for more on the design, see the previous posts here and here.